The GAISCE meeting has been rescheduled for Friday 28th September at 12.50pm in Room 312. It is important that you attend this meeting if interested in Gaisce. AIB- Build A Bank . Application Forms must be returned to Ms. Mary Harkin by Thursday 27th September. ​ESB Networks are challenging secondary school students to develop ideas and initiatives that will pave the way for a safer working environment for the future of the construction sector. 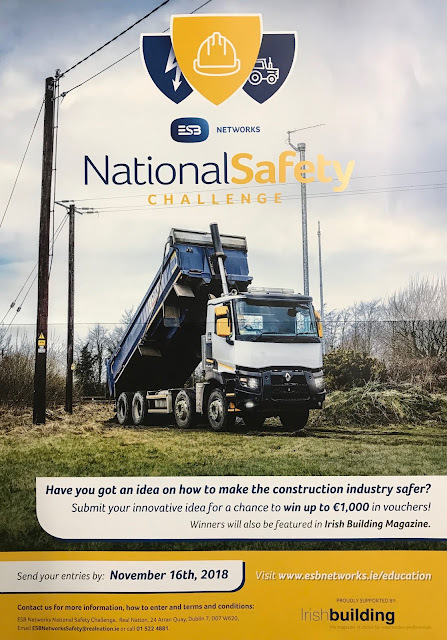 The ESB Networks National Safety Challenge aims to raise awareness of the importance of working safely and responsibly within agriculture and construction. ESB Networks is challenging secondary school students to develop ideas and initiatives that will pave the way for a safer working environment for the future of the agricultural and construction sectors. How fast can you run in the mud??? Apparently not very fast. The TYs had their first trip to Extreme Adventures in Letterkenny. Put through their paces on the obtacle courses followed by a mud run proved a sticky situation for some. Loads of fun, laughs and teamwork helped to contribute to a fantastic day. Well Done to all the students and of course the teachers and SNAs. Seagate Technology in Derry are offering work experience for 16 students during November. 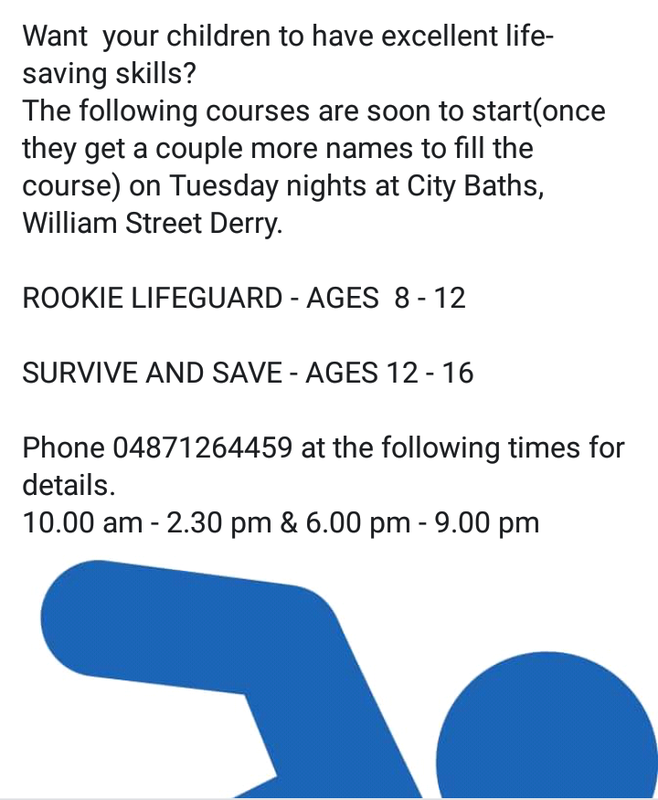 Please follow the link below and contact Ms. Roisin Diver if anyone is interested. CTYI offers a number of correspondence courses for students in Transition Year. Students may apply directly to CTYI, and need not have taken an assessment with us. The course begins in January, running through to May, with assignments due every 3-4 weeks. Tutors will correct the assignments and give individual feedback to the students, helping them to gain in knowledge and confidence with their chosen subject. Please note we do not grade these assignments, we provide constructive critiscism which we believe is more beneficial to the student. There are a number of exciting work placements available in Trinity College Dublin. Why not recognise and reward the volunteer work of your students through our Awards programme. The Pramerica Spirit of Community Awards programme recognises and rewards post-primary/second-level students for volunteer work carried out in their communities, through an exciting initiative that provides recognition and generous financial rewards to the finalists. The Pramerica Spirit of Community Awards is sponsored by Pramerica Systems Ireland Limited, a Prudential Financial Inc. (PFI) company, in partnership with the National Association of Principals & Deputy Principals (NAPD) and the General Teaching Council for Northern Ireland (GTCNI). The programme is supported by notable organisations such as Volunteer Now, Volunteer Ireland Foroige and Scouting Ireland. This Pramerica Spirit of Community Awards programme was launched on an all-Ireland basis in 2006. Since then the programme has honoured more than 2000 outstanding volunteers from over 300 schools across Ireland. It has elicited praise from educators, parents, elected officials and news media for communicating to young people the importance of volunteer service in their communities. Among the prominent personalities who have participated in the programme are Bertie Ahern, John Hume, Caitriona Ruane, Mickey Harte, Declan Kidney, John Lonergan, David Coleman, Martin O’Neill, Brent Pope and Niall Breslin (Bressie). Information packs and instructions to apply for the Spirit of Community Awards are circulated to schools annually in early September. All TY students will be taking part in the Future Leaders Programme. All students will recceive a certificate on completion of all the modules. The European Youth Parliament would like to notify your school about our upcoming Connaught-Ulster Regional Conference, which will take place in November 2018. The Connaught-Ulster Regional Conference is one of five conferences organised by the European Youth Parliament Ireland, the Irish branch of the largest not-for-profit youth organisation in Europe. We would like to take this opportunity allow your TY co-ordinator(s) to plan around the event, and to reply if interested in attending. 25th February – 1st March 2019. Press on the heading below for more information. Welcome to TY 2018-2019. Wishing all the students an exciting, fun filled year.